Marc's aerospace background and work experience allows him to understand even the most complicated inventions. As an engineer Marc worked for Boeing designing directed-energy / laser defense systems and for Raytheon Electronic Systems designing satellite imaging technologies. 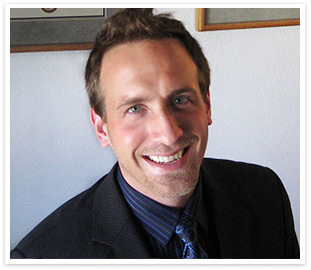 As a patent attorney Marc has worked with solo-inventors to large medical device manufacturers, from Internet concepts and software to chemical compositions and athletic equipment. Feel free to contact us for a free consultation regarding your invention. Marc has also been in the inventor's shoes developing products, in particular flying toys, so he can relate to the unknown obstacles that lay ahead. Without an idea the process cannot start. However, the execution of the idea is extremely critical to first protect your idea and then to develop it fully. For instance, an inventor should consider creating a functional prototype that works consistently so it can be demonstrated to a potential manufacturer or audience. Considerations should include the user experience, safety, durability, and the actual production cost needed to hit a target retail price to attract your target audience. Marc has been through this process with several major toy companies and speaks from experience. You can have a great invention, but what do you do next? That is where a patent, trademark, or a copyright can be so valuable in protecting your intellectual property from knock-offs or unscrupulous manufacturers. We enjoy helping others avoid the potential landmines that lay ahead. Feel free to give us a call to discuss your invention and how we can best protect your intellectual property. 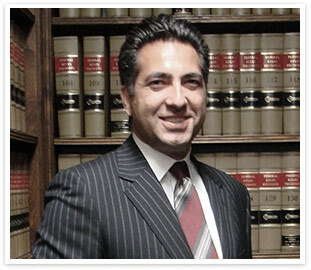 Marc Martino is proud to join forces with the Law Offices of Sepehr Daghighian. Sepehr provides extensive experience in litigation of patent, trademark and other business matters and has represented both plaintiffs and defendants in state and federal court. While most of Sepehr's clients are medium to small sized companies, Sepehr has successfully litigated against international companies that are represented by some of the largest (and most expensive) firms in the nation. Sepehr's background in physics allows him to comprehend the complexities that are routinely encountered in high-tech patent litigation. After completing his Bachelor of Science in Physics from U.C.L.A., Sepehr was a general contractor for nine years in the private sector. Sepehr has been in the client's shoes and understands how a business operates. Sepehr is able to tailor his representation for the best interests of his clients and not just the best interests of continued legal action. Sepehr has also helped clients protect their brand name or logo through national and international trademark registration. Sepehr Daghighian is privileged to have been recognized in 2008 by Corporation Service Company as the #10 United States Trademark Filer among all attorneys in the United States. For more information on Sepehr Daghighian, visit www.daghighian.com.